Nothing stays the same. The seasons change, people and circumstances change. The wind changes direction – and Mary Poppins comes and goes. As you will discover below, our District has – by necessity – developed a healthy approach to change, as part of our flexible approach to volunteering, and our commitment to high quality scouting. That old saying about closing doors and opening windows is put to the test this month by a couple of key District personnel changes. Meanwhile, there are exciting plans afoot down at our District Campsite – a host of enhanced features including….. Tunnels! Bouldering Walls! Proper crew quarters!….And better equipped washrooms! But (unlike Mary Poppins) we can’t make such exciting things appear as if by magic….although a spoonful of sugar might help. The DC Team – We are very sad to announce that Simon Ketteringham is stepping down from his DC and Assistant Explorer Leader roles, and Scouting in general. Simon’s work commitments have increased significantly since September, taking him overseas on a number of occasions (he’s in Paris this week), and this had led him to re-evaluate his volunteering commitments and work-life balance. Explorers in Ealing & Hanwell would not be the success it has been without Simon’s efforts; since joining in 2009 Simon led the opening of our Wednesday meeting, co-ran three trips to Kandersteg with Ben, and made too many other contributions to be mentioned here. Ben, with his Explorer hat on, is very sad to be losing a key member of his team and we thank him for all his efforts. Simon’s departure leaves a hole in the DC Team. Heather, Simon and Ben made the decision to take on the District Commissioner role because it was being shared across three people, thus allowing us to continue to be section leaders AND to retain some work-life balance. We are now seeking a third person to ensure that all three can continue doing that. We had preconceived ideas of what the role was before we stepped forward and being a team of three has meant that they were wrong…yes, there can be a few too many meetings (this is work in progress),yes, there is a to-do list that seems long….but these are challenges shared between three and that makes it a manageable workload. Please contact the DC Team on dc@ealingandhanwellscouts.org.uk or Richard Williams, County Commissioner (and DCs manager), on richardwilliams@glmwscouts.org.uk if you are interested or would like to find out more. District Secretary – We are delighted to report that Jackie McKenna has stepped forward as the new Acting Secretary for the District Executive. The Chair, and indeed the whole Executive Committee, look forward to welcoming Jackie to her first meeting on 24th April. District Treasurer – We are sad to announce that Sheila Burt, District Treasurer and 7th Hanwell Treasurer, is having to step down from those roles due to ill health. Sheila has just reached 10 years as District Treasurer and we are hugely grateful for all her efforts over the last 10 years. The finances of the District are in a good shape and this is largely down to Sheila. Thank you Sheila and thank you for staying around to support the transition to a new treasurer. Can you help us find a treasurer? 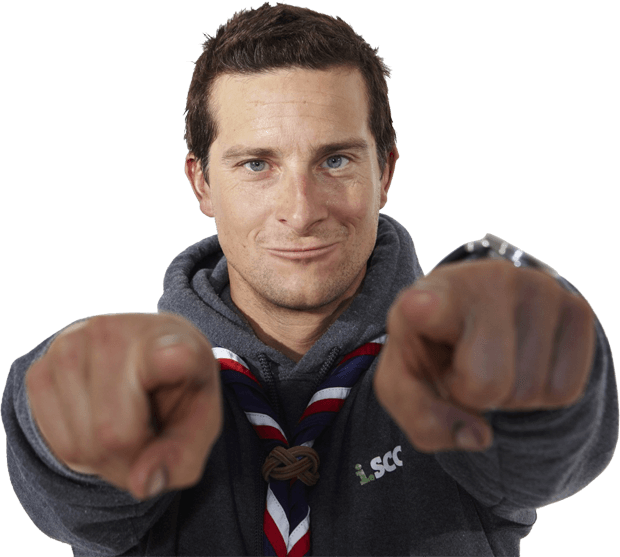 Please contact our District Chair, Jonathan Bartlett, on chair@ealingandhanwellscouts.org.uk if you can help. ADC Cubs – John Stanton has now stepped down as ADC Cubs. Thank you John for all your hard work in leading the cub section over the past two years. Thank you for continuing in your section leader role at the 5th Hanwell. First Response Refresher – On Wednesday 20th March we are holding a First Response Refresher course at Leighton Hall (7pm-10pm). This is open to adults who have a current, or just expired, first response certificate. Exciting campsite plans – Rabbit-Run, bouldering unit, crew quarters – and better equipped washrooms Thanks to a commitment of significant funds by the District Executive, the Campsite fund and by 25th Ealing, the plan is to build (and bury) a ‘rabbit run’ of tunnels, and to install a storage container (storing equipment inside, but used for bouldering outside – with grips attached to all 4 of its outside walls). The re-fitting of an area above the toilet block as proper crew quarters is also planned – once the stored items are out of the way (transferred into their new – more accessible – home in the container) And finally, the central toilet block will also be upgraded with proper hand driers, soap dispensers and robust toilet roll dispensers. We will be reaching out to each Group to arrange their own ‘Helping Out’ day. Census Many thanks to those who have been busily entering the required data for each Group’s Census Return. It’s nobody’s favourite job – but an important way of assessing the health of each Group and the District as a whole. District Survey – Another thank you! We very much appreciated hearing from so many of you – the information contributed, and opinions expressed, will be very useful as we go forward. We will be sharing the outcomes from this in due course. Well done to all – performers and helpers alike. This wonderful event was held on 29th January and raised £410 for 7th Hanwell’s re-building fundraising effort. Particular thanks to Nisha Patel (25th Ealing) as the main organiser, and to 7th Hanwell for hosting the event. Also to the Cub Leaders from 5th Hanwell and 8th Ealing who made it possible for their young people to get involved. Delighted to hear that this event for our youngest section went really well. Around 100 Beavers from across the groups joined in with a magic show, learning tricks and making balloon animals! As well as the show by a professional magician, two of our Explorer Scout Young Leaders helped teach the young people tricks: – well done to Andrew Woodward and Amelia Combes! 8th Ealing Beavers – Good luck in the Jambowlree! Module 1E – On Sunday 17th March we are hosting a training session for Module 1E, which is the module for Executive Members. Exact time is to be confirmed but it will be in the afternoon. Please contact Jenny, our District Training Manager (training@ealingandhanwellscouts.org.uk), to book a space. The plan this year is to hold an outdoor celebration of scouting in Montpelier Park. Led by our traditional band, there will be a parade around the outside of the park, sticking to the pavements. After that, a (fairly short) ceremony/’scouts own’ in the park will include the traditional reaffirmation of the scout promise by each section, plus a recognition of top achievements during the last year, to include both adult and youth members. All Groups are being requested to provide the names of their young people’s top award recipients (Chief Scout Bronze, Silver and Gold) from the last 12 months (April to April) – so that these top achievers can be applauded. Heather, Ben and (for the last time) Simon. Some of your regular District contacts have new email addresses, as previously circulated. No new ones to add this month, but a reminder to please update your contact lists to use the name@ealingandhanwellscouts.org.uk addresses, so we can reduce the number of ‘business’ emails going to people’s personal email accounts.